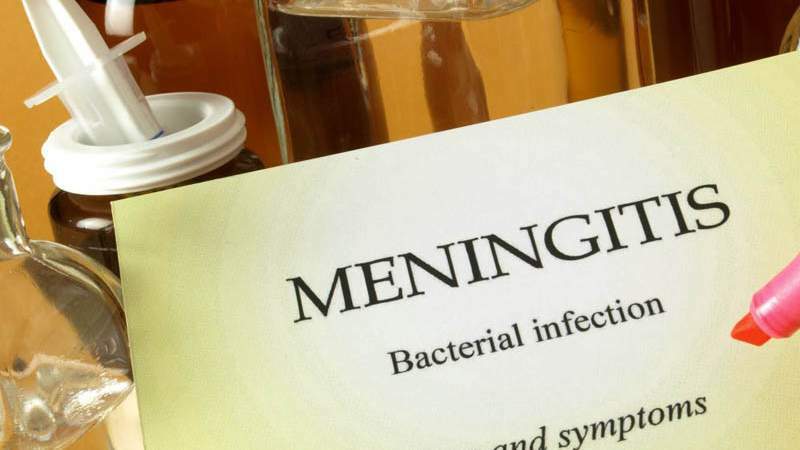 Meningitis is a condition of membranes around the brain and spinal cord that results in inflammation and produces headaches, fever, muscular rigidity, convulsions and even death in certain instances. This condition is typically brought on by a type of infection in the area, though this isn’t always the case. Overall, there are five types of Meningitis that a person can suffer from. The following will provide you with everything you need to know about each of them. Bacterial Meningitis is one of the more dangerous types, as it can be life-threatening and can lead to hearing loss and brain damage if it’s not properly and quickly dealt with. This type of Meningitis forms when bacteria enters in the bloodstream and flows to the spinal and brain areas. This bacteria can be introduced to the system by eating food that has been contaminated, through coughing/sneezing around another person and in saliva when kissing. Once a person has been exposed to this bacteria, symptoms will begin to present themselves in around 4-7 days. These symptoms include headaches and a stiff neck. Thankfully, antibiotics work well in treating this type of Meningitis once recognized. Parasitic Meningitis is extremely rare and is caused by a parasite known as Naegleria Fowleri. This type creates a brain infection within 1-2 weeks after contamination. Parasitic Meningitis is almost always fatal. Symptoms typically include hallucinations and seizures. This parasite is found in warm freshwater, water heaters and swimming pools that haven’t been treated properly. It affects a person by entering through the nose and eventually resting in the brain where it starts to destroy tissue. Viral Meningitis is the most common type of Meningitis and the least dangerous to a person’s health. Viral Meningitis begins because of other viruses that a person is suffering from, such as enterovirus, mumps, chicken pox and measles. Symptoms are generally the same as Bacterial Meningitis, with the one key difference being that it’s aseptic and will not enter cerebrospinal fluid. As such, it will oftentimes fade away naturally, though antiviral medications can expedite this. If a person is older or has an immune system that is relatively weak, there are rare occasions where this type of meningitis can be fatal. This type of Meningitis is not contagious and only occurs among those that are suffering from lupus, cancer or a head injury. Specific medications or brain surgery can also introduce it into the system. Symptoms usually include vomiting, a fever, headaches and a stiff neck. Fungal Meningitis is exceedingly rare and only happens when a fungus enters into the bloodstream. Practically anyone can suffer from this condition, though it is more likely if your immune system is weak. Bird droppings and contaminated soil typically create this fungus. Anti-fungal drugs will need to be administered at a hospital for a lengthy period of time in order to rid a person of this disease. ← How Is Meningitis Treated?